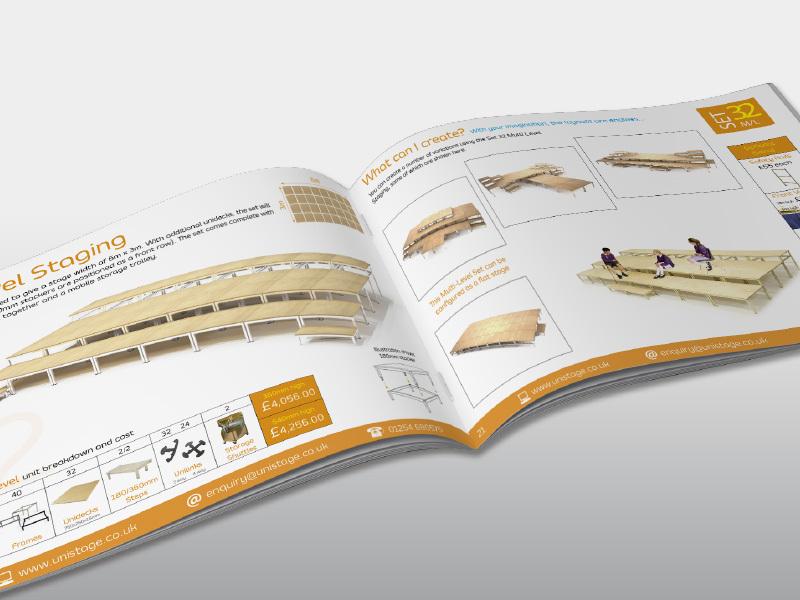 Unistage make staging simple! 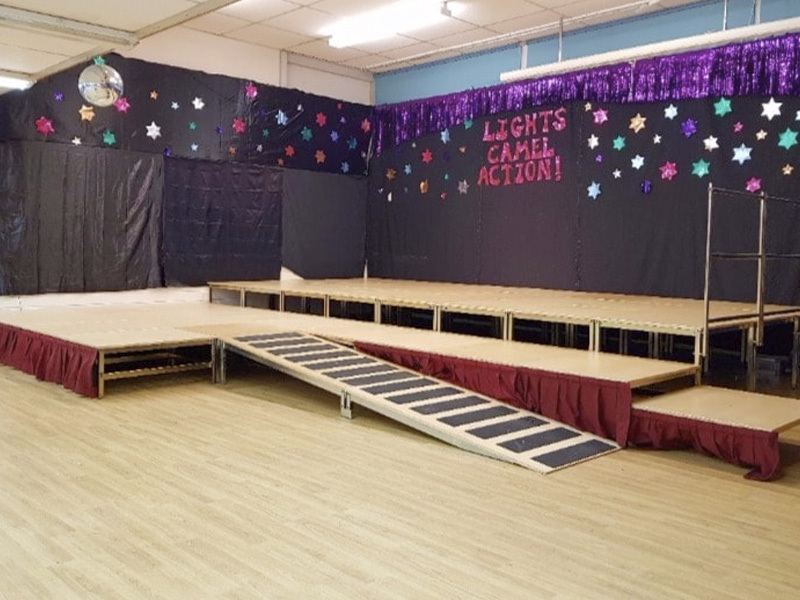 From initial contact, our aim is to make purchasing your portable staging simple and hassle free. 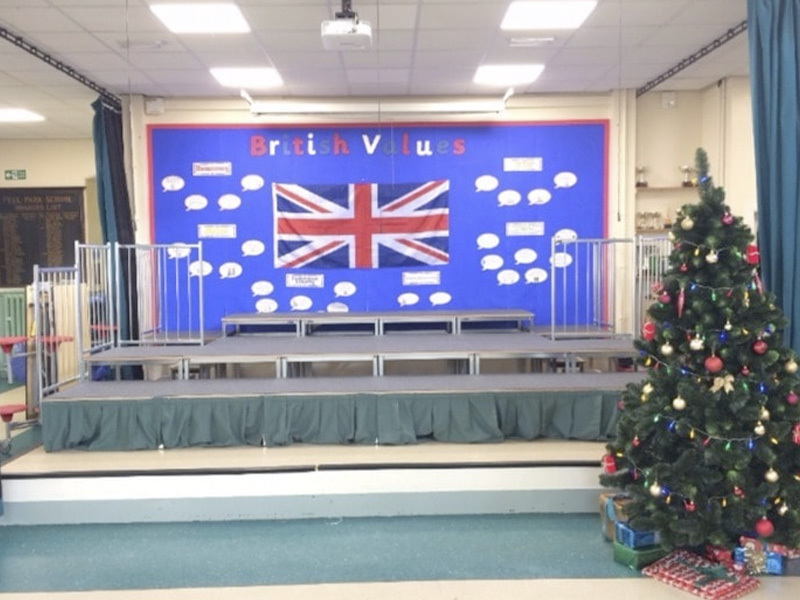 Our team are experienced and knowledgeable and combine their passion for creating staging with expertise in design and manufacturing to create a solution that is perfect for your venue. 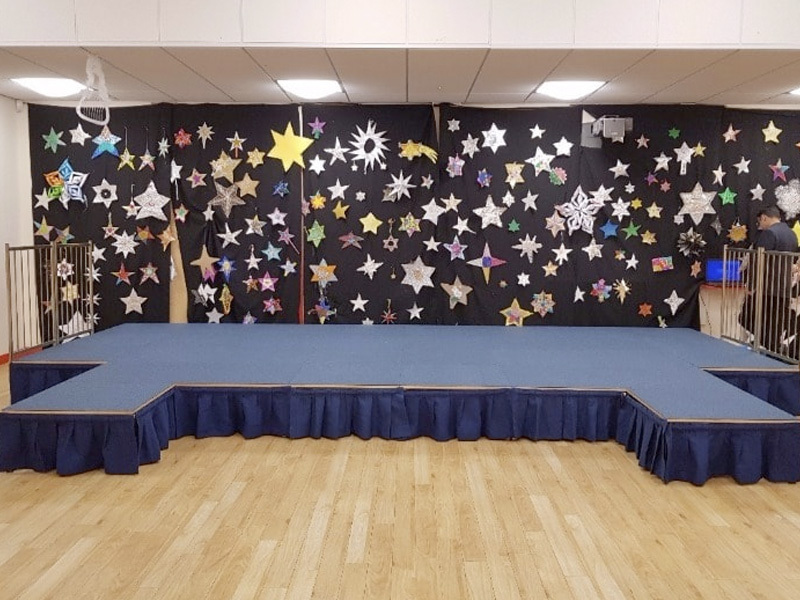 With a wide variety of flat, multi-level and tiered staging on offer, our staging solutions are ideal for every venue, where your performance space will need to change on a regular basis. 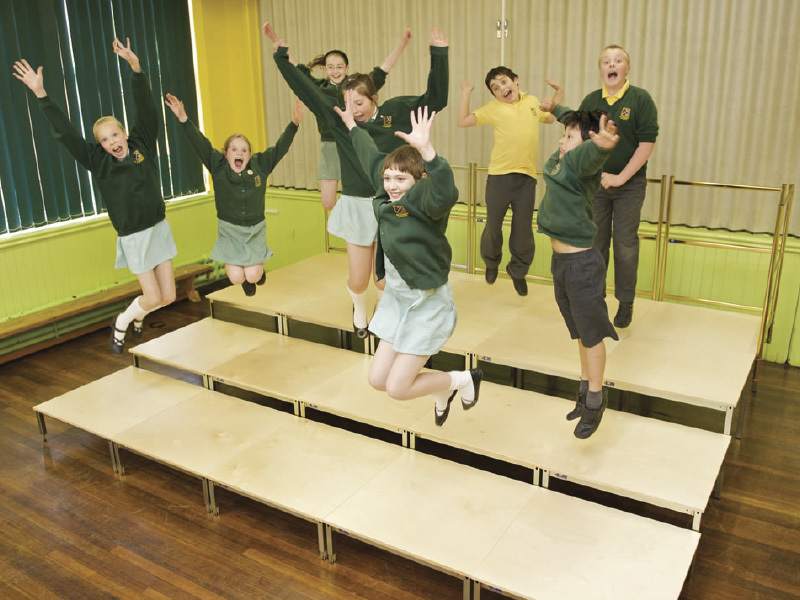 Our portable, modular stages are perfect for choirs, music groups, theatrical productions and presentations. Unistage can be purchased as a complete set, put together for your convenience, or as singular units allowing you to build a stage that's right for you. Unistage are pleased to offer a free of charge, no obligation demonstration service to allow you to see and test the stage system and for our advisor to answer any questions you may have, as they arise. Our demonstration service also allows us to measure your area and make recommendations based on your space and budget. We understand the importance of making the right purchase, and will assist you every step of the way. Our frames have undergone strict testing by FIRA and are certified to BS EN 6399-1:1996 & BS EN 15372:2008 Level 2. 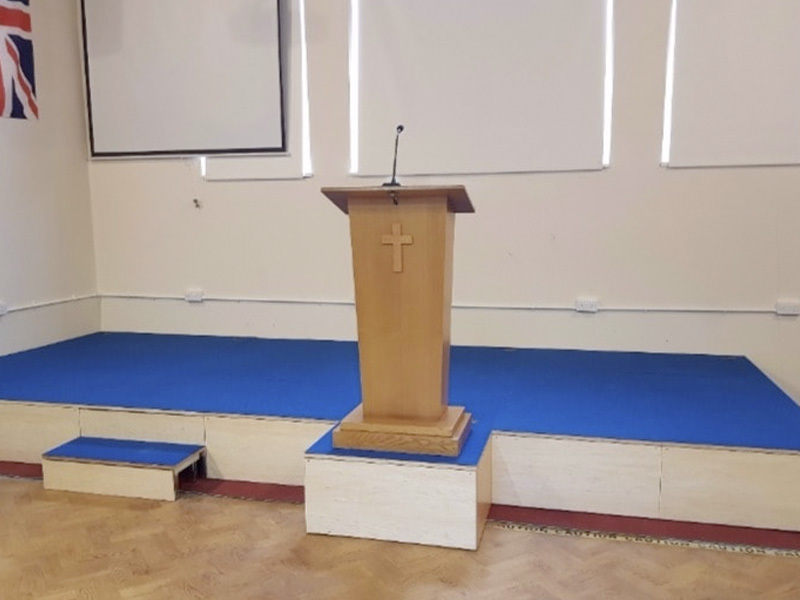 UK's leading portable staging experts - As the staging experts, we've made staging simple, and our experience of over 20 years will ensure we create a platform that you can use for any performance. Unistage products are simple, safe and compact. 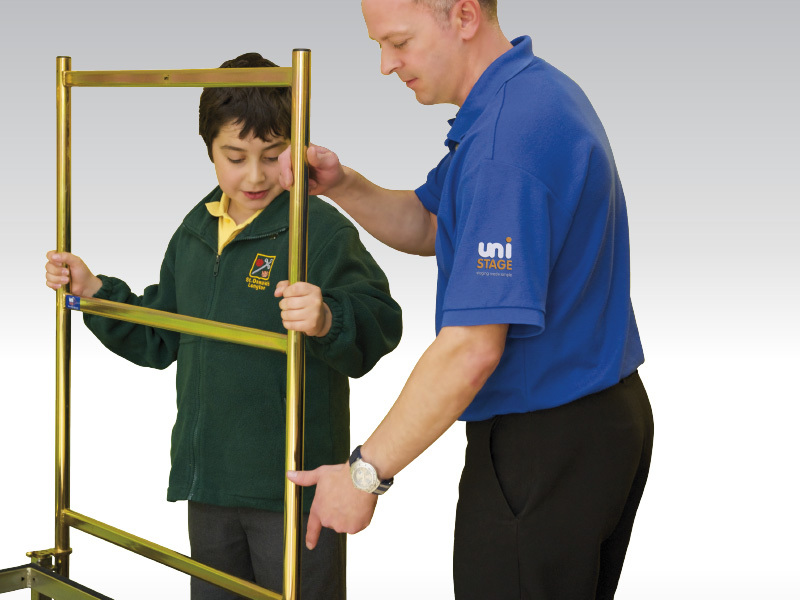 Unistage is safe - Whatever your performance, or age of participants, we recognise that safety is paramount. As such, we have created a universal 'lock-in' guardrail system that can be placed anywhere around your stage to keep performers safe. Design - Our unique design means there is no need for holes or bungs. Our Unidecks have a locator, making our staging look more appealing and improving our unrivalled safety features. Dual compact storage options - Portable staging is our speciality, so that's why we've focused on making it portable and easy to store with 2 options for storage; spiral or inline. 100% made in Britain - We're proud of the quality workmanship, materials and components that go into making our staging, carried out by our 'in-house' professionals. We're dedicated to making quality products! We offer the friendliest service. We listen, we advise, we deliver.